5 Bedroom House For Sale in Milton Keynes for £410,000. A lovely five bedroom home available for sale in Grange Farm. 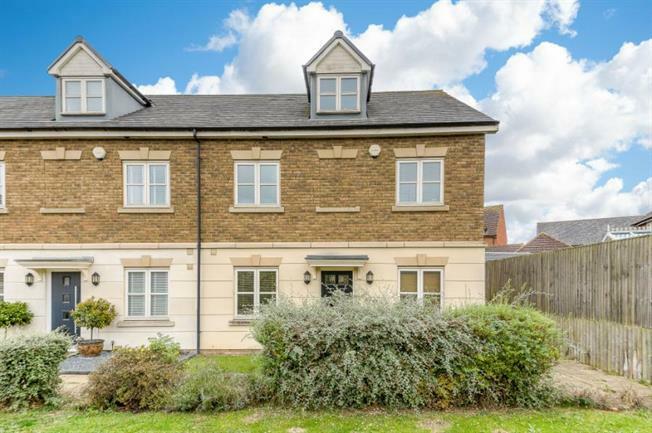 Set back from the road; this well presented property offers fantastic spacious living including FIVE DOUBLE BEDROOMS; and catchment to the highly regarded Hazely School. Other benefits include gas to radiator central heating, garage with off road parking and gardens to the front and rear. The accommodation briefly comprises: Entrance hall, downstairs cloakroom, lounge, dining room, kitchen, utility room, first floor landing, master bedroom with fitted wardrobes and en-suite, two further bedrooms, family bathroom, second floor landing, two more generous bedrooms and an additional bathroom. We highly recommend an internal viewing to fully appreciate the size and space on offer here.